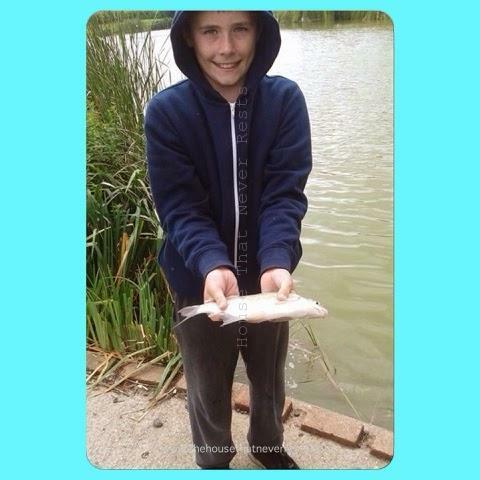 Today we went fishing with mum, dad, Nan and granddad and it was great fun, we are getting lots of practising in for our fishing holiday that we are going on next year, we have only just started learning how to fish this year so we need lots of practise but we are enjoying it we have just enjoyed a day fishing. 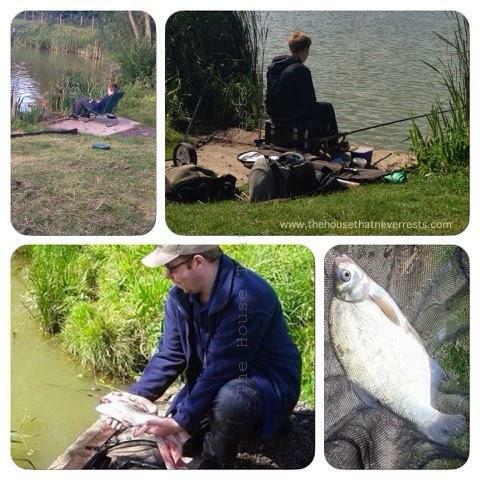 We made a picnic up, sorted out our fishing gear and set out for the day, we have a few nice lakes near us so we had a drive up to pick where to set up for the day, the lake we was going to go to had a match going on and it was very busy so we had to have a drive about to find another lake to go to. We are enjoying learning all about what fish is what, how to un-hook the fish, how to use the nets, all the different baits that you can use and the different fishing rods you can use, how to line and weight our rod, we think the fishing rod alarms are really cool that our granddad has and we used last time we went fishing. 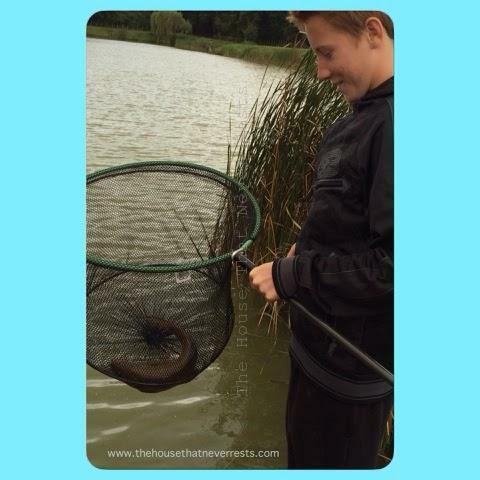 The fish caught today was bream and tench, our biggest that we caught was only about 3 lb but it was great fun and has made a great day, our best part was learning how to throw our rod out far. Look I held a fish today for the first time and it was very slimy, ‘yuck’ but I done it. Lee and mum are yet to brave holding a fish yet, Lee caught a fish but would not hold it. Disclaimer : This is a post about a family fun day that we wanted to share with you.